Please join us for an evening to support our work for Democratic candidates and their issues. Food, drinks, and prizes will be available. More importantly, this is a great opportunity to meet your prospective and elected officials. Admission for individuals is $15, and $25 for families. However, if you are thinking about joining the 15th Ward Democrats, admission fees will be waived for new member signups. 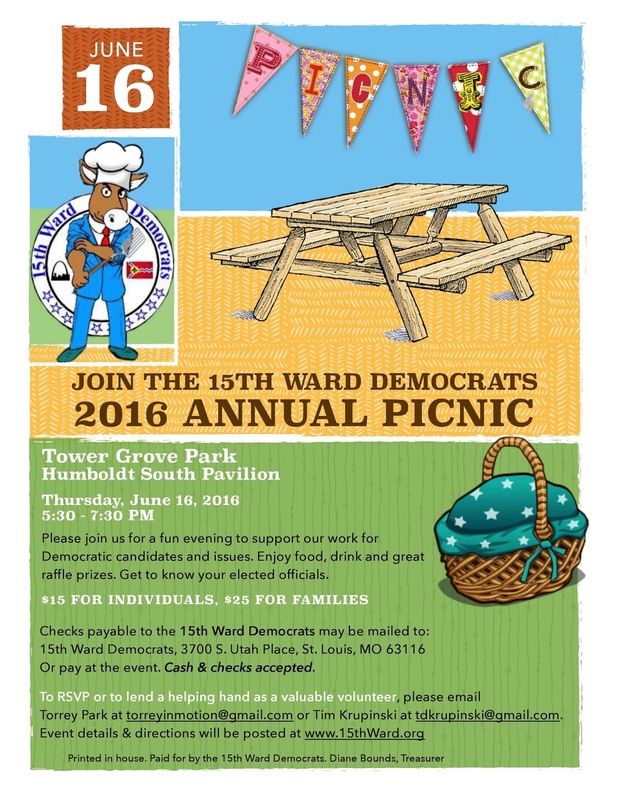 Checks can be mailed ahead of time, payable to 15th Ward Democrats, 3700 S Utah Place, St Louis MO 63116. Cash and checks will also be accepted at the door.